The central focus for Christians has been on the death of Jesus Christ; it is his dying and death and resurrection that have shaped what Christians have believed, taught, and hoped. In this lecture, some of the implications and limits of this model for death will be brought to light. While we recognize enormous diversity in practice and actual experiences of Christians, some issues persist in the way this tradition has understood how death fits within the totality of human existence. Lucy Bregman has been at Temple University since 1974 and is the author of several books on death and dying, including Death in the Midst of Life, Beyond Silence and Denial, and Preaching Death. She has also chaired the American Academy of Religion’s program unit on Death, Dying and Beyond. Thursday, October 29, 7:00 p.m. The “cult of Santa Muerte” (Saint Death) is the fastest growing and most prominent religious movement in Mexico today. Prof. González’s Comparison Project lecture explores the worship of Santa Muerte in the city of Guadalajara, focusing both on the general ways in which the church of Santa Muerte offers “a place for everyone” and on the specific ways in which Santa Muerte serves the needs of migrants attempting the crossing to the United States. 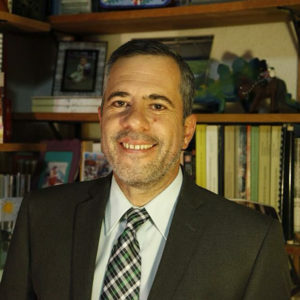 Eduardo González Velázquez is is a Research Professor at Monterrey Institute of Technology and Higher Education. He won the Jalisco Journalism Award in 2009 and 2007 in the category of reporting and writing respectively. He has published thirty articles and book chapters, including “Ciudadanos a la Mitad.” His current area of research is US-Mexico migration. View Gonzalez’s PPT and listen to his lecture.